Constantly being around others can make you feel like you have no time to yourself, but I’ve battled with this over and over and I’ve found a way to make time for myself and others. No matter how busy of a schedule you have, you can always fit these small things into your daily life to make sure you get your time to yourself because sometimes having people around you can be exhausting. Schedule. Your. Alone. Time. Simply, by setting aside 30 minutes every day, whether it’s at night before bed or in the middle of the day, you can get your time of peace. You can wake up 30 minutes earlier just to be by yourself with no distractions since they can make you feel irritated that your time alone was cut short. Just having the peace alone and cutting the time off yourself will allow positivity for the day. Another way to get your alone time is to just be in silence. Meaning no music, no radio, audiobooks, fan, rain sounds, any noise. 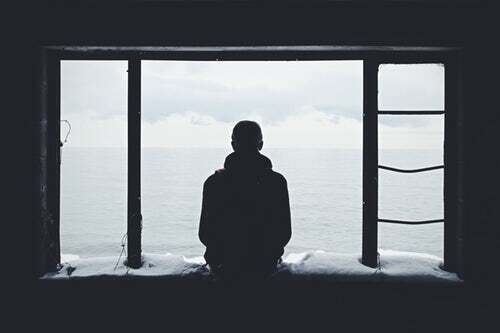 To use your alone time effectively, I’ve found it better to have complete silence to focus on your thoughts otherwise, you can become distracted and can’t focus. Just thinking about the day or the week will help calm you down, there are so many things that we have to think about but not enough time and your brain gets a little exhausted just trying to remember everything you have to do. Although it’s good to get quiet time, music can also help calm you down. For me, I like instrumental beats or something mellow because that way you can decide if the song if happy or sad. There are no lyrics to tell you what kind of song it is, and so I feel like I have some freedom with what I’m feeling. Earbuds or headphones can also be used effectively. Putting on your headphones can signal to others to not talk to you or to leave you be, therefore getting your alone time. This could work either at school, work, or wherever you go. Just listening to music alone (headphones if you use public transport) during your commute can let you feel relaxed while your mind only focuses on the beat of the music and not the outside world. Social media has become a big part of everyone’s lives whether we like it or not and the biggest thing we can do is to cut our social media. Social means people. Staying off social media can give us complete relief and not the constant stress of FOMO (fear of missing out) and checking your phone for new notifications. Think about the world around you, you’ll suddenly feel happier that there are no more things you have to worry about, no more interactions that you need. Find a thought bubble. A space where you can be to just admire something you love. For me, it would be nature. Your thought bubble could simply either be a park or your closet, wherever you feel safe to think. Whenever you feel overwhelmed, just go to your space and think. There’s no crime for thinking and just breaking down what’s happened. It’s healthy. Try and think of your thought bubble like a town, for now, you’re a citizen, but as soon as you get more comfortable, you’ll own the place and your thoughts will become more managebale.